By his own admission, Michaël Verheyden’s work doesn’t fit neatly into one category. Since he found his home accessories company with his wife Saartje Vereecken in Genk, Belgium, his atypical career path has been a combination of design, entrepreneurship and artisanship. 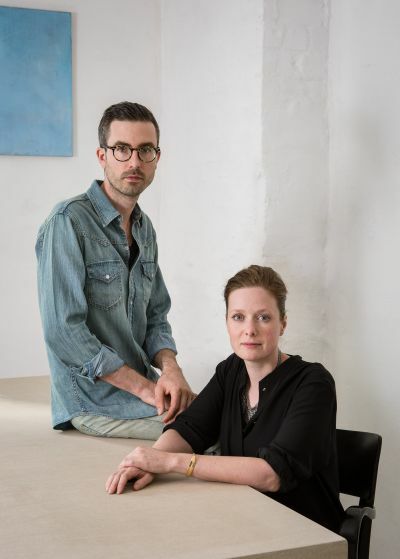 Verheyden’s inclusion in Wallpaper’s Power 200 list is testament to the relevance of the highly distilled forms of their streamlined objects in natural and noble materials, and to the couple’s discrete way of working with interior designers and brands that are highly regarded yet unpretentious. One such collaboration is their two-year working relationship with Graanmarkt 13, a concept store, gallery and luxury apartment in a white stucco, neo-Classical townhouse in Antwerp. Throughout, the interior bears the signature of architect Vincent Van Duysen, and Verheyden’s objects can be found on all three floors. This Christmas period, from 25 of November until 16 of January, Verheyden takes over the first floor of Graanmarkt 13 with a temporary store that will be filled with a selection of new design furniture and interior objects, including larger pieces that were previously shown in Paris during Maison & Objet, but not yet in Belgium. A Roman bar stool, one of their very first pieces, will be available in an as yet unseen reworked version: 'we’ve substituted the leather with wood and are having it produced in a studio closer to home so as to be able to respond to customers’ needs better', explains Verheyden. 'We’ve added silver and a material based on concrete to our palette', he continues. 'Our objects are growing more and more extreme, which keeps it interesting for us as well'.